The best scout scopes for the money complete a handy and lightweight rifle that is suitable for combat roles and recreational shooting. What exactly are scout scopes and why should you purchase one? For starters, this type of rifle accessory is not just for those in the law enforcement and authorized combat activities. Scout scopes are for hunters, target shooters, and those into recreational shooting or combat games. Why shell out hundreds of dollars for a scout scope? These scopes allow for a much larger field of view. They are long eye relief, low power scopes that are mounted on a suitable rifle. The location of this weapon accessory is in a forward position. Scout scopes are used to acquire target faster while the fixed magnification power of the scope functions for faster action shooting. Which scout scope is right for you then? This is one of the top options among rifle accessory enthusiasts. The UTG scout scope is loaded with features starting from its emerald lens coating, making it shockproof, rainproof, and fogproof. The TactEdge design is a practical feature that gives the accessory an angled integral sunshade. It also boasts of the Twist Lock Medium Profile Weaver Rings/Picatinny. The high-quality lens caps are easy to use with the flip-open design. There are significantly positive reviews about the UTG scout scope that offers up to 11” long eye relief. It weighs 3.2 pounds for lightweight mounting and use. Other notable features of the scope include the 6 mil-dot etched glass patented reticle illumination with 36-color mode and dual-color mode features. It also showcases the zero resetting and zero locking target turrets, with ¼ MOA per Click and precise W/E adjustment. The parallax is also adjustable for a flexible 10 yards to infinity. Some users do have issues with the UTG long eye relief scout scope including the poor instructions for beginner users. One pointed out the finicky buttons that make it difficult to control the colored reticles. Another points out that the unit is quite bulky and heavy for a long eye relief scout scope. All in all, the UTG long eye relief 2-7X44 30mm scout scope is a good buy. There are also advanced features in this rifle accessory that garnered more positive reviews than negative nods from actual users. The most notable features of this Burris scout scope include the eye relief of 9.2 up to 12 inches. 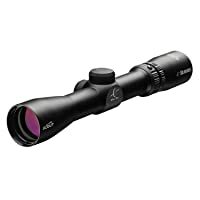 It is considered one of the best one due to its moderately competitive price compared to other scout scopes on the market. The index-matched multi-coated glass gives the unit a cutting edge design and function. Other features include the patented Ballistic Plax Reticule at 100 yards field of view. The scout scope is 9.7” long and weighs 13 ounces. Burris scout scope received good amount of positive reviews from actual users. One of the most impressive features of the unit according to users is the high-quality multi-coated glass scope technology. It also comes with a low mounting capability and durable finish for all types of weather and condition. Based on reviews with not so satisfactory rating, the issues noted with the Burris scout scope include some technicalities with the factory lens caps that are not included in the package. Another issue is on the clarity of the lens while one user pointed out some debris and a small spot inside the lens. Overall, the Burris 2-7 x 32 Ballistic Plex scout scope is good value for your money. It received numerous accolades from users particularly with its heavy-duty and durable build. The rifle accessory is made to boost your shooting performance whether in hunting, combat, and recreational shooting. 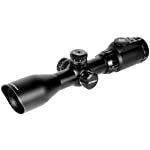 The scout scope features the long eye relief with superior length of 9” up to 17”. The 28mm objective secures the scope as it mounts closer to the bore line of the rifle. It also features the patented multicoated 4-lens systems and the ¼ MOA click adjustments. 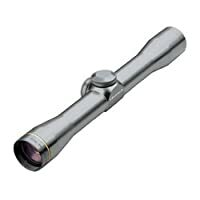 The aluminum scout scope is approximately 10 1/8” long and weighs 7 ½ ounces. Compared to other scout scope on the market, the Leupold brand is significantly more affordable. It comes in matte, silver, and gun metal gray colors. There are various strong points attributed to the Leupold scout scope. According to online reviews from actual owners and users of this rifle accessory, the scope is durable and made for extreme weather conditions. The longer than normal eye relief safely mounts the unit and pulls in the light. It also boasts of a dependable and classic duplex reticle for versatile shooting performance. The scope perks also include the anti-glare interior work and superior light transmission capability. It is recoil resistant for repeated precision and large-scale calibers. A few issues that were noted regarding the Leupold scout scope include the technical errors particularly on the button indicators on the wrong turrets. Another user expected more on its magnification quality. Based on the strong and weak points of the Leupold duplex scout scope, the verdict leans towards its more commendable features. More scope users are satisfied and there are only a handful of noted complaints regarding the unit. Coating. High-quality scopes are resistant from water and rain, shock, and fog. The coating makes this possible. There are different types of scope coating such as multicoated, fully coated, and fully multicoated. Eye Relief. The eye relief requires much better length in order to make enough room for the recoiling and to avoid scope bites. Magnification Power. The better and higher your power scope is, the better the clarity and precision. The best scout scopes for the money are good investments whether for combat or recreational shooting such as paintballs for woodsball. You can also find other weapon accessories such as EOTechs for AR15 with chronograph mounting to boost your shooting performance. Get one now and see the difference!